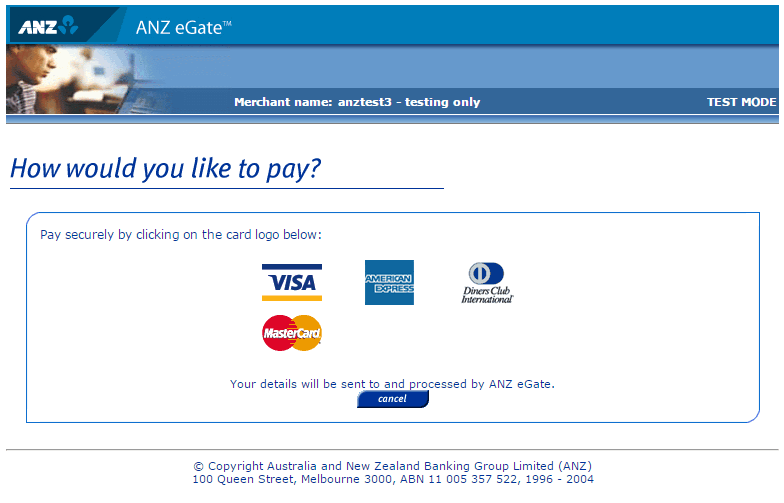 Magento 2 ANZ eGate Payment Gateway extension integrates ANZ eGate payment gateway into Magento 2 in order to process credit card on sites via the Internet. Magento 2 ANZ eGate Payment Gateway extension is really an optimal choice for all store owners to enhance transaction process in their sites. By integrating ANZ payment gateway to Magento 2 sites, this module provides one more convenient online payment method with high safety for customers to finish purchases from online stores. Therefore, customers have more options to pay for their purchased products beside available methods. Integrate ANZ eGate payment gateway into Magento 2 sites. 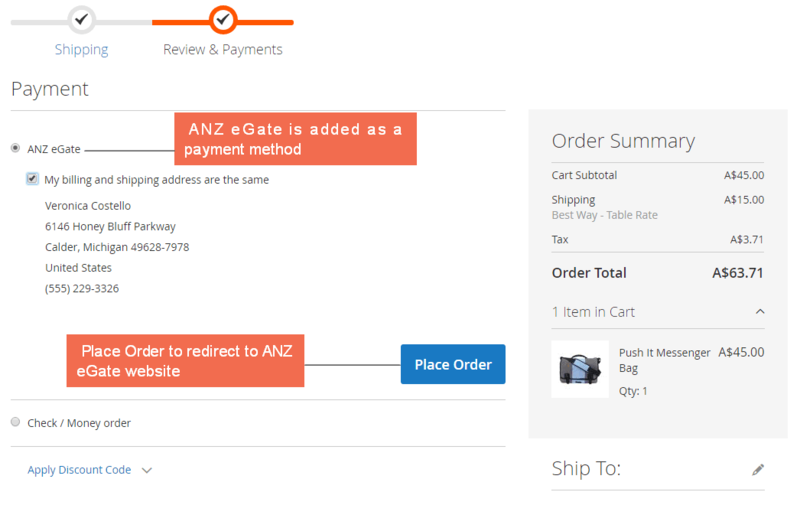 When admin enable Magento 2 ANZ Egate Payment Gateway extension in the backend, ANZ eGate is added into Review & Payments section as a payment method for customers to choose. 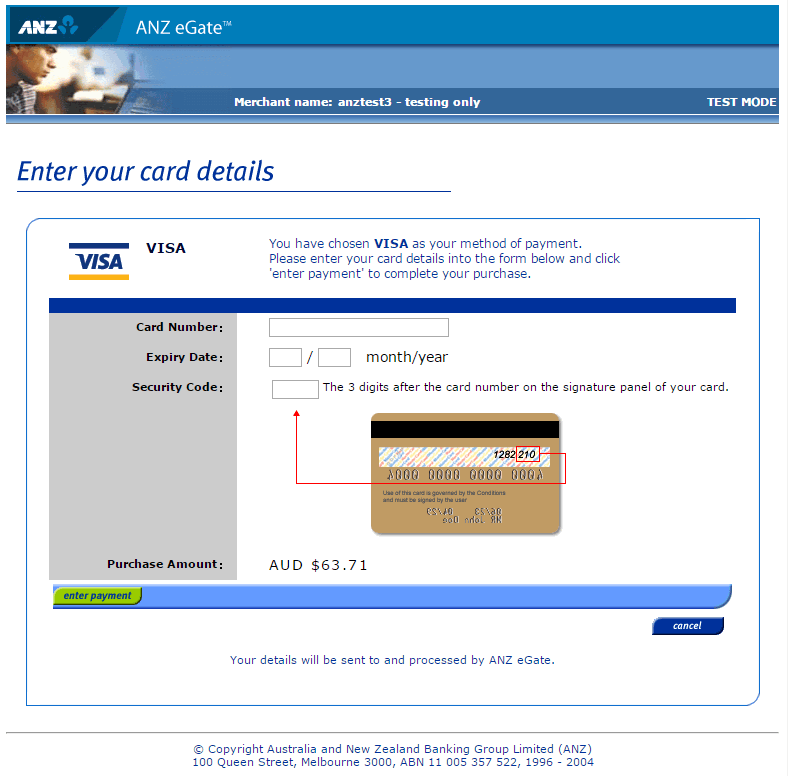 After customer click Place Order, they are redirected to the website of ANZ to select credit card types and fill in account information to complete payment. Why ANZ eGate Payment Gateway for Magento 2 is your must-have extension? As you know, ANZ eGate is secured and hosted gateway that is widely used in Australia and New Zealand. Therefore, when you install ANZ eGate Payment Gateway for your Magento 2 site, your customers can feel safer to make transactions as well as have more trusts in your services equipped with reputable gateway in the world. With the help of Magento 2 ANZ eGate Payment Gateway Extension, customers can have additional payment methods (credit card types) to choose other than available ones. This helps them to become more flexible in the transaction with various options to select, especially in case they do not have enough trusts in other payment methods. It's always a pleasure working with BSSCommerce as a great extensions provider. They always keep up with the times and Magento 2 ANZ eGate Payment Gateway is an excellent example of a high-quality payment method with useful features. Great extension with solid support! I really love this extension because it brings a lot of convenience for my customers when checking out on my stores. This is definitely the greatest extension I have ever bought from your site. I also appreciate you enthusiastic support and consultation. you are owning an excellent team!